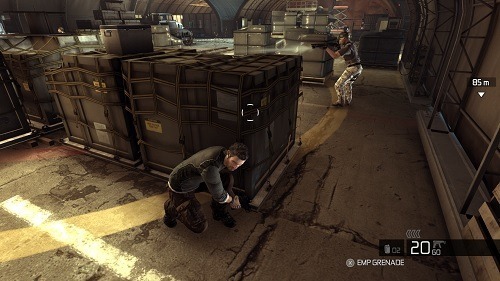 Tom Clancy’s Splinter Cell: Conviction is the 2010 addition to the long term franchise and completely reinvents the franchise with all new mechanics and a great level of polish. Continuing on from the previous game in the franchise players will quickly find themselves in familiar territory. 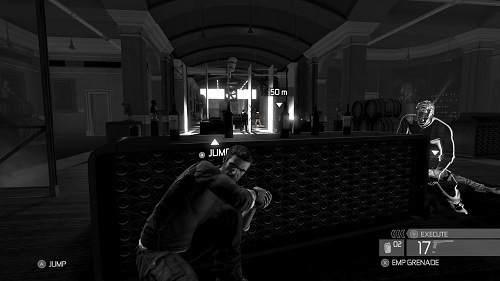 If this is your first time playing a Splinter Cell game you won’t feel out of place either with a quick introduction to the game that brings everyone up to speed on the current situation. The campaign follows the story of Sam Fisher and while it’s a very intense and fast moving story it does end just a little too early. This is where the co-operative mode comes in with all new missions to complete with friends to boost the number of hours in the game up to a more appropriate level. In terms of gameplay you’ll want to forget nearly everything you know about the Splinter Cell series with all new mechanics to master and enjoy. The most notable of these is the execute option that lets you mark up to two targets and execute them with a single shot. It’s always enjoyable to watch and never feels cheap because these have to be earned through melee engagements with enemies. To help you stealth around the game world and understand what you’re enemies are thinking you’ll also have a new last known position mechanic that shows where an alerted guard last saw you. Using this information it makes it easy to make flanking decisions. The game definitely isn’t a traditional stealth game choosing to focus on faster paced action that won’t have you carefully planning your next step forward for five minutes. It’s extremely enjoyable and is definitely a direction that Splinter Cell needed to adopt earlier in the franchise. You might be a long term fan or someone entirely new to Splinter Cell, with Conviction it doesn’t matter with both parties guaranteed a great gaming experience. Fast paced and full of high action sequences. New mechanics make stealth easier for newcomers and more fun for long-time fans. Single player and co-operative stories available. On Windows, Mac and Xbox 360.